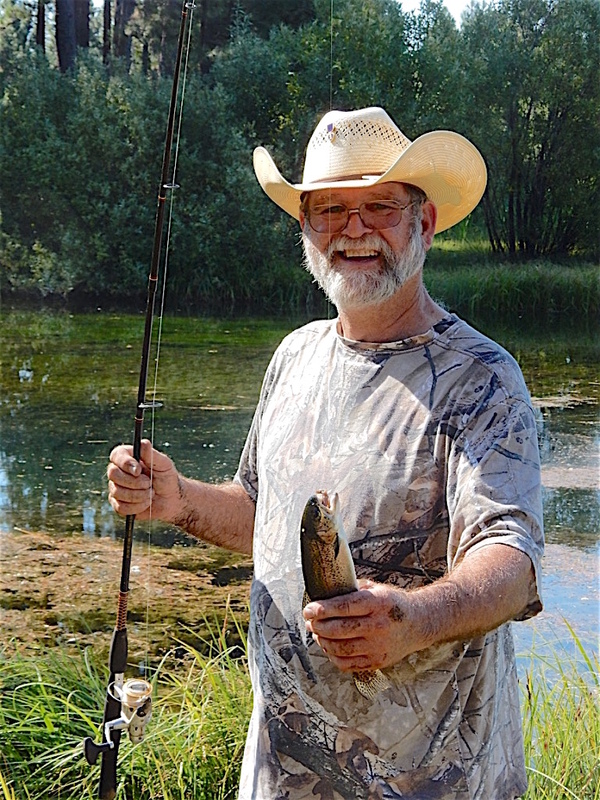 Author’s buddy, Russ Herrick, is about to catch another trout at KIlarc Reservoir. This was on Friday August 18. Well, we did it again. 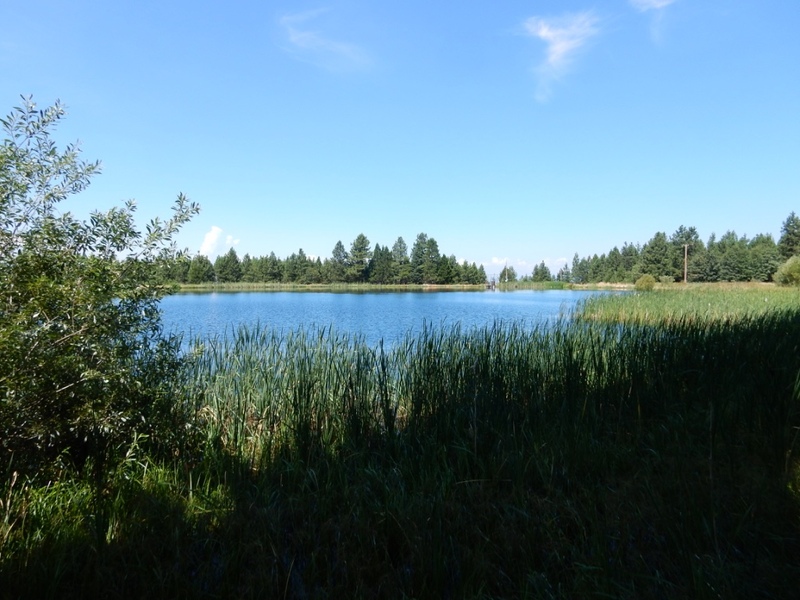 Fearing summer was slipping away without enough fishing, my pal Russ Herrick and I bounced our way up the three mile long gravel road to Kilarc Reservoir, a 4.5 acre PG&E pond near Whitmore. Actually, we go to Kilarc a lot, and I suppose that’s understandable. 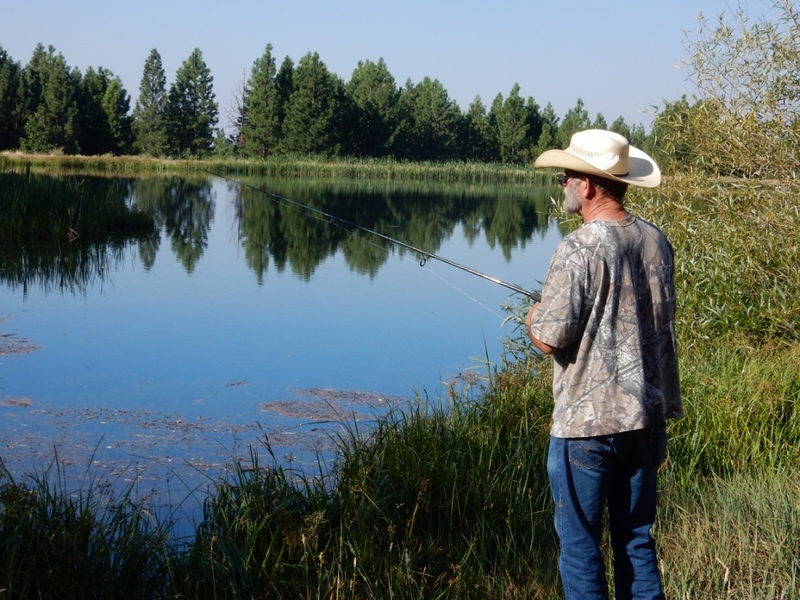 If you live in Shasta County it doesn’t take very long to get there, and if it’s been planted by the CDFW anytime within the past few weeks the fishing will be at least fair for planted rainbow trout. Even when the fishing is slow the scenery is good. Anglers can use a number of tactics to fool a few fish, from tossing a variety of spinning lures, to soaking bait or casting flies. I’ve done it all. But frankly, I find that bait is the best choice. For one thing, the fish seem to like it better than anything else, and for another, with adequate weight you can cast it far enough to reach the fish a long way out from the bank. Ordinarily, the hot baits for Kilarc are nightcrawlers and Berkley Power Bait, a multi-scented, multi-colored paste-like concoction that is buoyant. Put a siding sinker on the main line, and hold it in place with a swivel. Then tie on a three-foot leader. Tip the leader with a size 10 bait holder or small treble hook, add a glob of Power Bait and you’ll be in business. Cast the line out, allow the weight to hit bottom, and the bait will naturally float above whatever weed growth there happens to be. Meanwhile, if you’d rather use nightcrawlers, the best idea is to rig the line similar to the description above, only with a slightly bigger single hook. Put the crawler on the hook and using a worm blower, inject it with air so it too will float above the bottom. The trick now is to make sure the worm floats while on the hook before casting it out. Ditto for Power Bait. 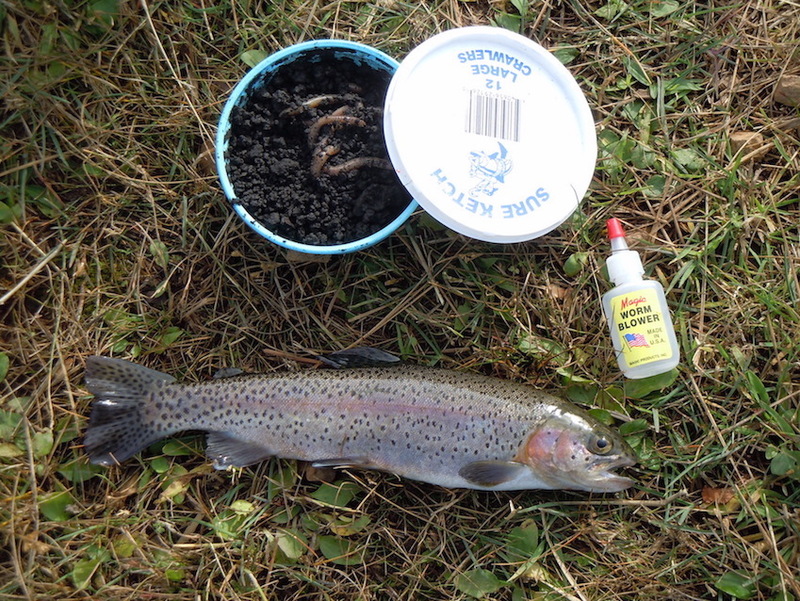 There are three sizes of nightcrawlers commonly sold as bait. They are jumbo, large and mini. I’ve found the large to be the best choice for pan-size trout as they’re big enough to float when injected, and small enough for most trout to deal with. Mini crawlers may be too small to inject successfully. I’ve been fishing at Kilarc off and on for decades, and while I haven’t thought about it often, I do realize that what I’ve learned at Kilarc applies to other similar waters where trout lurk in the depths. I thought about that while Russ and I were at Kilarc the other day, and when we had to change tactics completely to tempt the fish. Here’s the deal. We fished conventionally at first, and each of us caught a single fish that way. Subsequent casts resulted only in weed smothered hooks, and it finally dawned on us that the mid-summer weed growth was hiding our bait even if it was floating. The cure, of course, was a complete reversal of tactics. Instead of inflating worms so they would float, we would put them on a hook hanging under a bobber so they would sink to a certain depth yet remain visible above the weeds. The bobbers we use are clear plastic bubbles that can be partially filled with water to add weight for long distance casting where necessary. The bubbles aren’t easy to see way out there, but all things considered, I’ve never thought of that as a problem. After changing tactics, Russ and I filled out our limits of fish fairly easily, and we went home quite pleased with ourselves. Sharon and I would have trout for dinner, and Russ had enough to fire up his smoker. Life, for a couple of poor folks, was good. Will Fishermen & Hunters Pay The Price For Beef To China?